Neptune Corporation Stops with injection quills are used for injecting chemicals pumped by metering pumps into tanks, mains, cooling towers, and process systems. Quill extends into the center of the stream providing more rapid uniform dispersion of injected chemical. 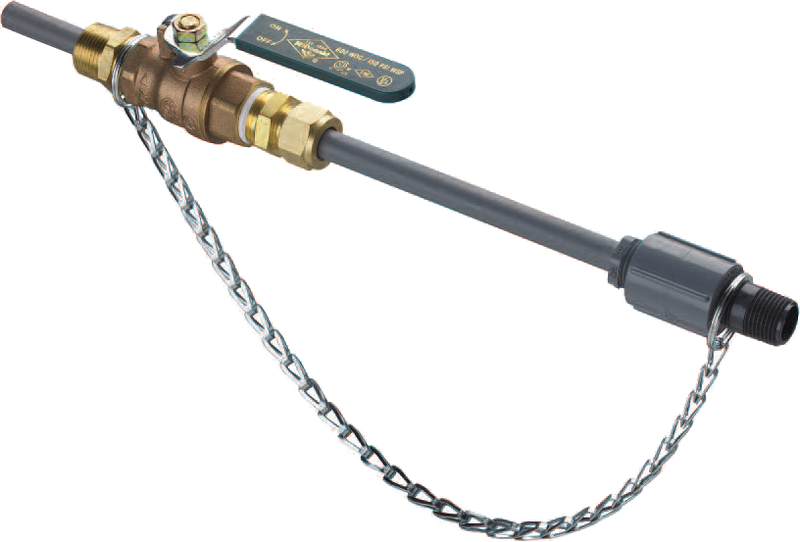 Corporation Stop can be mounted to a "hot tap" which is installed without draining the system. Corporation Stop allows injection quill to be inserted or removed without having to drain or shut down the system.